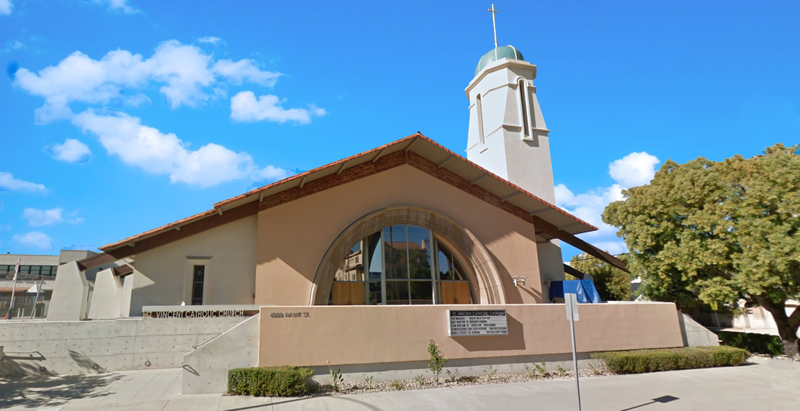 St. Vincent de Paul Parish in Mission Hills was established in 1910. The Vincentian Fathers, who staffed the parish for its first twelve years, named the parish for their patron saint, St. Vincent de Paul. During these early years the original and, which had three houses on it, was transformed into a rectory and a church. In 1922 the Augustinian priests were assigned to the parish, and then in 1925, when the Augustinians were transferred to St. Patrick's Parish, diocesan priests were permanently assigned to St. Vincent de Paul Church. In 1948, Monsignor Patrick Dunne, serving as pastor, determined that it was time for the parish to take the next step in serving the community. Plans were drawn up for a parish school and construction was completed in two years. Monsignor Dunne invited the Dominican Sisters of Tacoma, Washington, to staff the school. Because of increasing enrollment, two classrooms were added in 1959. The Dominican Sisters were transferred in 1969, and the pastor at that time, Monsignor Peter Mimnagh, invited a group of Mercy Sisters from Ireland to staff the school. The school continued to expand and in 1983 another new classroom was built. Over the next twenty years, new instructional and enrichment programs were added to the school day, which necessitated an increased staff that now includes part time teachers for music, Spanish, physical education, art, and computer education, in addition to the Kindergarten through eighth grade faculty. In 1988 an extended care program was offered, both before and after school to support the needs of working parents, and an after-school sports program was initiated, staffed by parents and volunteers. A computer lab; a multi-purpose room, and an additional classroom were added in 2003. The school continued to increase in enrollment and in 2010 a new two-story building was completed, connected to the original school building by a breezeway. This phase of development added a preschool, with staffing for several age-appropriate programs, a resource room, and a state-of-the-art science lab. Since 2010, the physical plant has been updated to renew and refresh the facilities. A new electrical system was installed, and Phase I of the technology improvement plan was completed, carpeting has been replaced in the hallways and stairs, new flooring installed in the first and second-grade classrooms, blinds have been installed in five classrooms, with lock-down shades for classroom doors, and a rechargeable cart with 30 notebook computers for seventh and eighth grades was purchased, as well as Promethean boards, which were installed in every grade and the science room. Security cameras have been temporarily installed with completion and permanent installation to be implemented as part of Phase II of the technology plan. Through the continued generosity of the St. Vincent de Paul Parish faith community and other donors, a supportive pastor, and the continued service of dedicated parents who coach, educate, contribute their time, and set high expectations for their students, the school is well-equipped to meet the challenges of 21st century learning. Graduates of St. Vincent de Paul School are held in high esteem at the local high schools. Not only do the students excel academically, but also in extra­ curricular activities, and other areas such as sports and science, all due to the many improvements in the educational and spiritual programs at the school, and in the enhancements and regular upkeep of the physical plant. The motto of "Live Love and Learn" has remained a constant, challenging the St. Vincent de Paul School community to reach its God-given potential. Once a Viking, always a Viking!